We have gift cards available in store! Regular eye examinations are important for all age’s vision and health care. Exams are usually every two years although for youngsters’ or some eye conditions more frequent examinations may be advised. Eye exams can help to identify conditions such as glaucoma and diabetes at an early stage allowing them to be effectively treated. In children, it is essential to diagnose sight problems early to prevent learning and development problems. If you already wear glasses or contact lenses please remember to bring them with you, the optometrist may ask you to wear them during a test. Please also bring any details of medication that you may currently be taking or have recently taken. Our highly qualified optometrists each with over twenty five years’ experience take a comprehensive medical history, and details of any symptoms. This is important as some eye problems are closely related to health, lifestyle, and hereditary factors. Each eye test is performed to meet your individual needs; assessing your prescription in detail, to ensure outstanding vision. 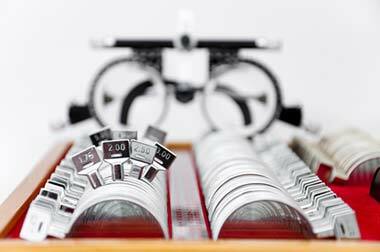 The optometrists have a range of state of the art equipment that they can utilise if required. This screens for potentially serious conditions that can not only affect your eyes but your health. Using our state of the art fundus camera and OCT we take an image of the back of your eye. This image lets our optometrist assess your eyes' health, allowing them to quickly diagnose any common eye conditions including macular degeneration, diabetes and glaucoma. This image is stored allowing the optometrists to monitor any changes to your retina at each eye test. The latest software enables the optometrist to overlay previous images for better comparison. Retinal screening is provided at a supplementary charge to NHS patients. © Ellis and Killpartrick Ltd 2013 all rights reserved. Website design by Griffin Software Ltd.
Ellis and Killpartrick Ltd is a company registered in England and Wales with the company number O7530524.